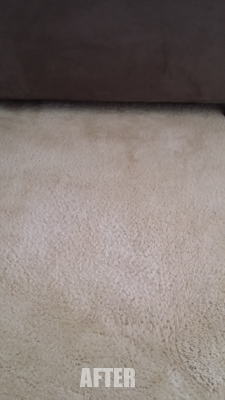 This Tampa FL homeowner had red stains in her carpet that she had cleaned several times, but she could not get rid of. 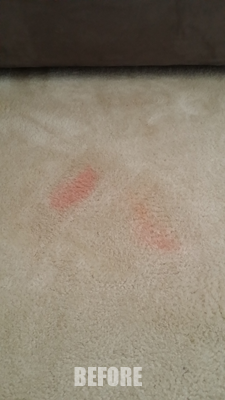 She was amazed that Chem-Dry of Tampa FL was able to remove these red stains using our Stain Out system. Stain out is designed to remove stains at the molecular level it literally changes the makeup of the stain removing it forever. This revolutionary stain removal systems works on all types of stains, both old and new. If you have red stains in your carpet call Chem-Dry of Tampa today for a free estimate. Call Chem-Dry of Tampa for all your stain removal needs.